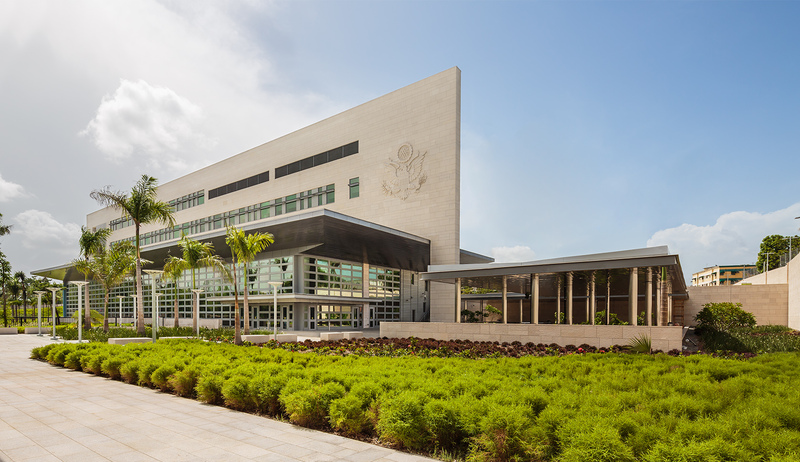 This new Embassy’s site design reflects a quiet elegance and respect for the environment. Multiple structures with deep canopies for shade are located within a secure park-like setting, organized into distinct zones related to use. 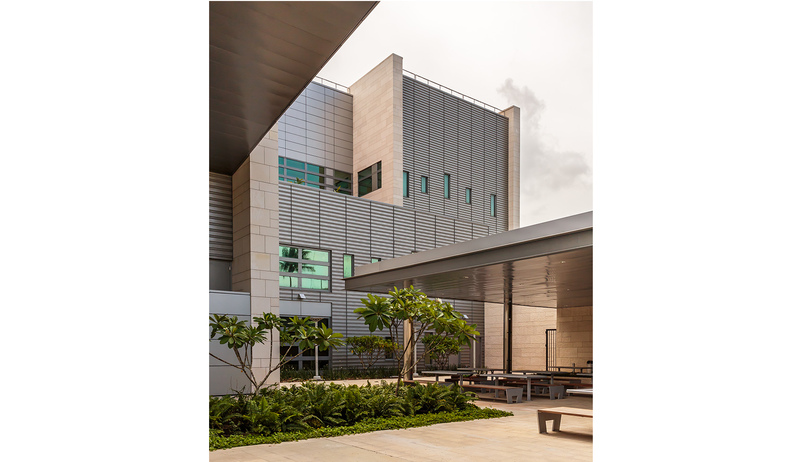 A sculptural system of parallel, limestone-clad walls of various heights gives order to the site and creates layers of interior and exterior space across the site. 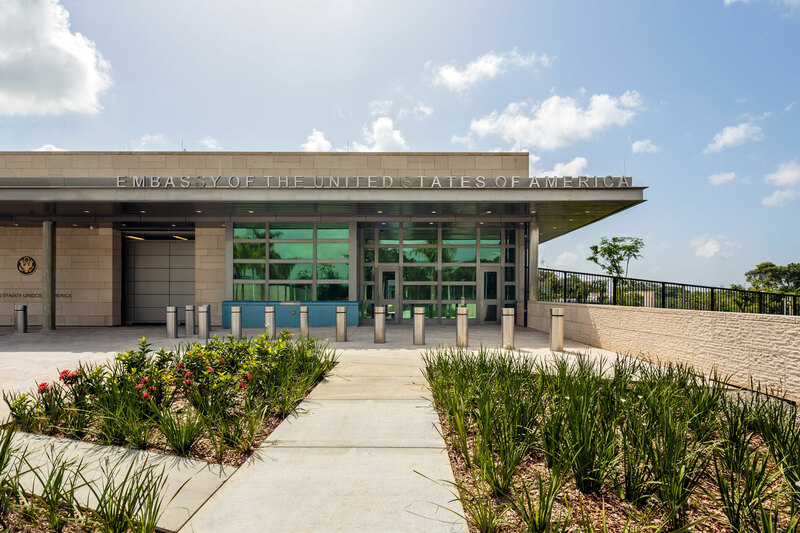 Sustainable approaches and elements were an integral part of the landscape design and along with self-generated power helped garner the project a LEED Gold Certification. 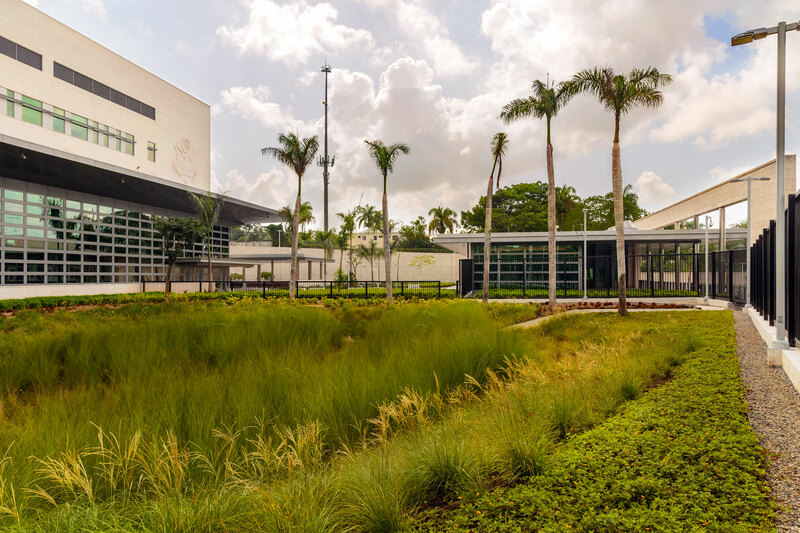 Water conservation through on-site storm water management and highly efficient irrigation is supported by a native plant palette of palms that create a shade canopy and colorful shrubs planted in sweeping masses that enliven spaces. The planted areas are a continuous flow of sinuous curves, inspired by the Brazilian landscape architect Roberto Burle-Marx, and are continued from plantings to exterior paving to interior spaces for an integrated whole.